So this is somewhat of a tradition around here to end the year with a post looking back at the year on the blog. 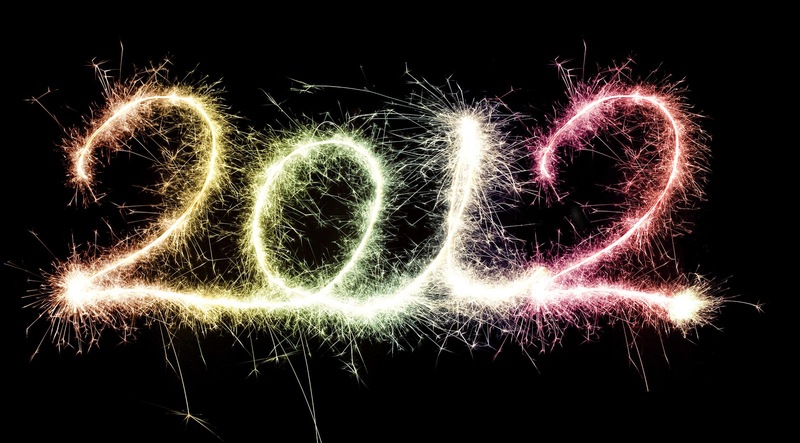 I won't get much into the specifics of 2012, but I will say that this year has gone SO FAST. I know it sounds cliché but it literally does feel like just yesterday that I was writing my post like this last year. It really does. However, I'm beyond excited for 2013. So many opportunities await me: in a week, I'll be going to Japan, then there's all the Head Girl duties, and also, we have another good year for film on our hands. Just maybe, at the Oscars in February, I might see Jessica Chastain with a statue (Oscar or not, I'm excited to see what she wears). Matthew McConaughey may blow our minds with The Dallas Buyers Club (here's hoping). I'll finally get to see films like The Perks of Being a Wallflower (maybe), Zero Dark Thirty, Silver Linings Playbook, Les Miserables, Django Unchained...and also my most anticipated 2013 releases like The Great Gatsby, The Place Beyond the Pines, Only God Forgives, The Dallas Buyers Club, The Wolf of Wall Street, The Disappearance of Eleanor Rigby His & Hers, Iron Man 3, Now You See Me, Side Effects, the two Terrence Malick films, Twelve Years a Slave, Mud...the list could go on and on. So before I wave 2012 goodbye - and it has been a mostly fantastic year - it is time to look back on the best moments on this blog, month by month. This year I'll also add what songs were my faves during that particular month. As with most January's, this month was filled up with Oscar Oscar Oscar. Before then, though, I finally left the country and went to Melbourne for a holiday, which also meant I could catch up with a few movies while I was over there. Oh and hey, I became the literal only person on Earth to love War Horse. I still like to remind people of its glorious existence because most people have forgotten about it. Oh hey, the Oscars happened this month. It feels like just yesterday I saw Jessica Chastain in that beautiful gown. Again, that makes up for 75% of my excitement for the 2013 Oscars. I did my predictions with poetry again this year. I can't wait to hopefully have enough time to do them again next year. I also brought back my 'A Conversation with...' feature with The Beaver. I remember that day, as that was when I found out that I was gluten intolerant. Good times. I also changed my rating system. I was watching the Downton Abbey Christmas special when I did that. This month started out awesome, coz I was supposed to be directing the school production, but at the end of the month they cancelled it. I was actually so sad for days. Mind you, this month was kinda known as Jessica Chastain month (even though every month of my life is Jessica Chastain month), since it was her birthday, and I got to see The Debt and Take Shelter. I also started another feature, known as 'Lame Trailer Clichés', with kettles. Really. April was an interesting month, filled with many gems of posts. This Conversation with Puss in Boots has always been one of my favourites. So is this review of I Melt with You, which I still have a few LOLs over every now and again. I also did my 50 Cinematic Wishes, had an interview with the Kid in the Front Row, made a desperate plea to anyone who would listen about how The Cabin in the Woods should've been given a proper release here, and I saw The Avengers, which was apparently very exciting. It would seem that I was nominated for a whole lot of LAMMYs at the end of this month. That was really exciting. I started off the month with this review of Tyrannosaur, which is probably my favourite review that I've written. I also wrote about how The Muppets was actually a very gutsy movie, shared some of my early photos I took and listed my ten favourite Cillian Murphy performances. June was a real gem of a month. I got a couple of LAMMYs, I did my French New Wave month, I shared my 15 favourite redheads, for my 900th post I shared some blogging tips, I saw Shame, and I also did that '100 Film Facts About Me' post which unintentionally (but awesomely) turned into a blogathon. I am so proud of how this month went, but it makes me sad because I'll never be able to have another month like it. July, however, was probably my favouritest month ever. Mainly because it had the best DVD releases EVER. I mean, one night I took home six movies to watch before they were released, and on another day I watched five releases. One of those releases was We Need to Talk About Kevin, which caused two earthquakes and made me fall in love with Ezra Miller. I did my Anime month, even before I knew I was going to Japan. I posted my speech online...which for some reason, people still talk about. I started my 'Dear Hollywood' feature with J. Edgar. I finally got to see The Dark Knight Rises, which also saw me write an appreciation post on Christopher Nolan. Before I went on my "I'm burnt out" break, I finally did my 2011 retrospective lists, with my favourite directors, actors, actresses and films. This month wasn't very exciting as I spent most of it on break (and watching the Olympics until I felt like my eyes were going to bleed), but I was brought back when I got nine of those Liebster Award things, so I had to answer a crapload of questions. I turned 17, too, which was rather un-exciting (bring on 18!). And I really got obsessed with Ezra Miller. And I did this really weird post. Pretty much nothing happened on the blog in September because I was too busy with Little Shop of Horrors. I did do some funny Photoshops, though. Things got back on track in October, with my horror month keeping me on my toes (ironically while I was 'dipping my toes'), and also the third birthday celebrations, which were counted down to by 'My Movie Biography'. Among other things that happened in this month were my Prometheus home musical (which my friends now use against me when I say that I'm actually awful at singing), I saw Margaret, and I did some more funny Photoshops the night before my Photography Folio was due, which is when I coincidentally got really sick with a virus. Lovely. IDK why, but this month feels like it was years ago. However, Nic November happened, I made a very pretty gallery of my favourite colourful movies, and I also did my movie alphabet. There were a few birthdays this month, so I listed my favourite performances from Leonardo DiCaprio and shared a brief biography and a few facts about Vivien Leigh. Plus, I saw Killer Joe on the 13th of November, which means that was the very date that Matty M went from zero to hero in my heart. This month has been so incredibly difficult but there were a few good points on the blog, including this review of Magic Mike which I'm rather fond of, I did my first blogathon which was called 'Making the Case' and I reached 1000 posts. Recently I've been reflecting on the year, with things like my unofficial favourites of the year and my obsessions of the year. So there's 2012 for ya. This also marks the end of an era for Cinematic Paradox: while I'll be around in 2013, it'll be to a much lesser extent, since school is really going to be busy this year. Still, I'll be working hard at Annual Awards Nerdism for the next two months! I hope you all have a wonderful 2013, and let's make it awesome! Thanks! I will definitely look out for ways to convince your friend that Japan is the way to go! Great look back at the past year! You have seen a lot of movies this year. I never went into 400. Last year it was 340, this year 311. Thanks! Those are not bad totals - I mean, some people only get to watch 150 movies. Trust me - being organised is a good skill to have, but most of the time I just improvise with things! And yay, that's why my 2012 was so good too! Actually War Horse is in this year's edition of 1001 Movies, so someone else must like it :) Don't know how long it'll stay there, though. It is? That's weird, haha. Wow, only 175 of them were features? Interesting! Yay! And thanks, I'll probably need it. Great recap Stevee! Best of luck on your studies in 2013, and keep up the great work here in Cinematic Paradox. Happy New Year, girl! Thanks - and you keep up the good work over at FlixChatter! Hey Stevee! This was such a cool post! Your year seemed really cool actually, and it totally topped my "year in review" I did haha. I like how you put up your favourite songs for the month too! Oh my goodness September's one RULES - I love Imagine Dragons! Lana Del Rey & Radiohead are pretty awesome too! Imagine Dragons are awesome, aren't they? I loved their music ever since I heard 'It's Time' on The Perks of Being a Wallflower's trailer. Excellent post here. Love the accompanying tracks per month. “Unraveling” is something I’ve listened to on repeat since first seeing Shame. It haunts and inspires me.